To fill the void the Treasury Department introduced several different paper notes of small denominations, from one cent to half a dollar. This “fractional currency” was very unpopular because the paper it was printed on deteriorated very quickly. In fact, fractional currency was given the nickname “shinplasters” because the little paper notes were so thin and flimsy that they resembled the little pieces of paper that doctors used to make plaster casts. In 1865 Congress introduced a bill to authorize a new three-cent coin. To prevent hoarding, this coin would be made not of silver but of nickel and copper. The bill was remarkable because of its sponsor — John Kasson, the Congressman who was most well-known for his opposition to the use of nickel in coins! The reason for his change of attitude was that he liked fractional currency even less than he liked nickel coins. The Treasury had just announced its intention to issue even more fractional currency to try to meet the nation’s economic needs, and Kasson felt that a “three-cent nickel” would be preferable to more shinplasters. 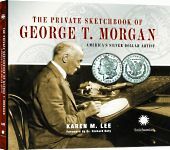 The new coin was designed by James Barton Longacre, the Chief Engraver of the U.S. Mint. It was composed of 75% copper and 25% nickel and was designed to have the look of a silver coin, rather than the yellow cast most people associated with a nickel coin. To address the criticism that the existing three-cent silver coin was too small, Longacre designed the three-cent nickel to be larger. Unfortunately, he made it the same size as the currently circulating dime, which brought about fresh criticism. All three-cent nickels were produced at the Philadelphia Mint, and from 1865 to 1889 over thirty-one million of them were struck — quite an amount for a coin that was introduced as a “stopgap measure” to fill a temporary need. 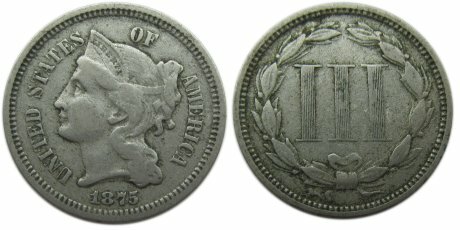 The three-cent silver coin coexisted with the three-cent nickel from 1865 until the silver coin was discontinued by the Coinage Act of 1873. The three-cent nickel was discontinued in 1889, partly because of the controversy of it being the same size as the dime, but mostly because the cost of a postage stamp had now fallen to two cents and a three cent coin was less in demand. After 1889, millions of three cent nickels were gathered by the Treasury, melted down, and used to mint new five-cent Liberty Head Nickels. Filed under Coin History, Three Cent Nickel.